After months of endless speculation, China’s new leaders have been declared. 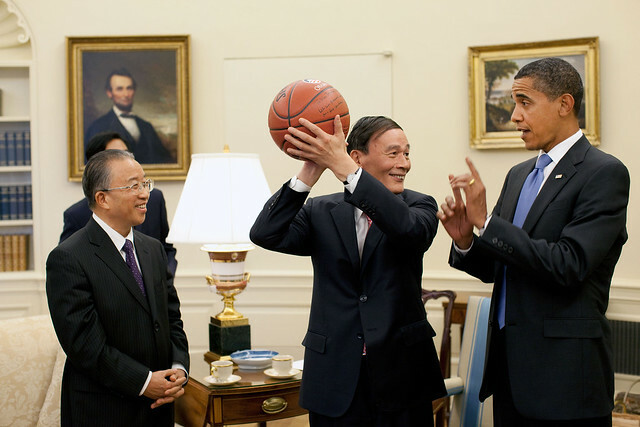 The Diplomat presents a look at the men who will guide China. After months of tenuous purges, endless political jockeying, and (often erroneous) Western media speculation, the seven men who will lead China for the next five years (and in some cases, the next decade) formally introduced themselves to world on Thursday just before noon local time. 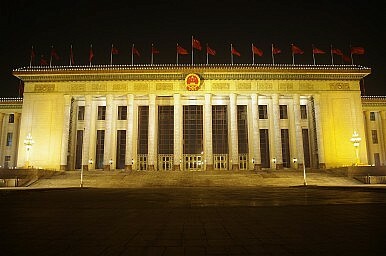 Their presence on the stage of the Great Hall of the People formally brought to a close an important era in China’s history: the Deng Xiaoping era. Since being brought back from his second exile in 1978, two years after Mao’s death and the arrest of the Gang of Four, Deng (and the Eight Immortals) has towered over China, first during Deng’s own rule that saw sweeping changes that lifted millions of Chinese citizens out of poverty and modernized the country, and later through Deng’s hand-chosen successors, Jiang Zemin and Hu Jintao. Not unlike Deng’s return to power, China’s new leaders, largely ‘princelings’ whose formative experience was the Cultural Revolution– in which many of them first participated in and soon became victims of—take the reins of power at a time when China is facing enormous challenges. Compared with their nine predecessors, the seven men who now serve atop the CCP’s Politburo Standing Committee (PSC) are older, less-scientific, more conservative, and heavily weighted towards the Shanghai faction in China’s elite politics that is often associated with former President Jiang Zemin, who boldly reasserted himself into Communist Party decision-making in the months preceding the unveiling of the PSC members. Additionally, the PSC’s first-among-equals, Xi Jinping, appears to be far more charismatic than the man he replaces, a much welcome change for China followers both inside and outside the country. The new leadership faces a host of pressing challenges, including: an increasingly politically conscious and activist public, armed with far more information than their parents thanks to new social media platforms; a slowing economy suffering from growing debt, weak global demand, official corruption, low domestic consumption, rising labor costs, and over centralization that is largely the result of too-big-to-fail but too-politically-powerful to easily break-up State-Owned Enterprises (SEO); and increasingly strained relationships with China’s neighbors and the United States. Xi Jinping was born in 1953 in either Shaanxi Province or in Beijing depending on the biographer. His early youth was spent in relative comfort as the son of Xi Zhongxun, a major party figure and vice premier to Mao. However, Xi Zhongxun was purged during the Cultural Revolution and his son, Xi Jinping, was consequently sent to the countryside. Xi spent nearly six years working on a Shaanxi farm and living in very sparse conditions during the Cultural Revolution. Xi has expressed nostalgia for his life during this time, which has led some to speculate that Xi’s experiences in Shaanxi may make his policies more rural-focused. There is little hard evidence to support this theory. While in Shaanxi in 1974, Xi applied for and joined the CCP. After the Cultural Revolution he enrolled at the prestigious Tsinghua University and received a degree in chemical engineering. He later returned to Tsinghua to gain a doctoral degree in law. During his tenure with the CCP, Xi Jinping has held numerous positions including: an early stint as assistant to then-Minister of Defense Geng Biao, prominent mayoralties and a number of governorships. Some have speculated that Xi has developed close ties with various military officers as a result of his time as Geng’s personal secretary, his reportedly close ties to military officers stationed in the same provinces as him, and his current vice chairmanship of the Central Military Commission. Additionally, Xi was governor of two economically successful provinces, Fujian and Zhejiang (and party secretary of the latter). He has also held positions in Shanghai. Xi has therefore gained experience working in both China’s rural inland areas, and its eastern and southern coastal, more prosperous regions. As a protégé of Jiang Zemin and the Shanghai faction, Xi will have to work with his opposite number, Li Keqiang, who is often associated with Hu Jintao and the Communist Youth League (CYL) faction. With Li expected to focus on economic issues, it will be up to Xi to institute political reforms should the CCP decide to do so. Li Keqiang was born in 1955 in Anhui province and was the son of a local official. Like Xi Jinping he was sent to the countryside during the Cultural Revolution, and he joined the CCP in 1976. After the Cultural Revolution ended, Li enrolled at Peking University and gained a bachelor’s degree in law followed some years later by a doctorate in economics. Li began his rise in the Communist Party while he was still attending Peking University. There he joined the local Communist Youth League (CYL) and later became secretary of his university’s chapter. He subsequently joined the CYL’s national organization and rose to become first secretary by the early 1990s. Li’s rise in the CYL led the central government to appoint him to be the youngest governor of Henan in 1999 (he served as acting governor beginning in 1998), and he later served as general secretary of Liaoning Province. While Li proved capable as a governor, his achievements were less stellar than contemporaries such as Xi Jinping. For example, Li presided over a large AIDS outbreak early on in his tenure as governor of Henan. Li is commonly associated with the CYL Faction of the Politburo as he met many of his political allies, most notably outgoing President Hu Jintao, during his time in the CYL secretariat. As a current vice-premier and Hu protégé, Li Keqiang replaced Wen Jiabao and became the second highest ranking official in the Party hierarchy yesterday. He is expected to replace Wen as premier in March. In this sense, Li differs from his predecessor Wen, who, at least formally speaking, was listed as the third highest ranking official in the CCP hierarchy. This difference might be attributable to the fact that, much like his patron Hu, but in contrast to Wen, Li suffers from an acute lack of charisma. Despite his lack of charisma, Li is believed to have long-standing ties to a large percentage of the Central Committee members, potentially giving him a huge network to tap on the issues he is most passionate about. As such, Li is poised to become one of the most influential forces on development issues over the next decade. Zhang Dejiang is a member of the last Central Committee, a vice-premier of the State Council. Since the Bo Xilai purge he has also served as party secretary of Chongqing. Like many of the current generation of CCP leadership, Zhang was born into a family closely associated with the communist revolution. In Zhang Dejiang’s case, his father, Zhang Zhiyi, was a well-respected communist general. However, Zhang Dejiang differed from most princelings in that he didn’t initially rely on his father’s political connections to rise through the ranks. After spending time in Jilin province during the Cultural Revolution, Zhang joined the CCP’s Propaganda Department and began studying Korean at Yanbian University. In the late 1970s Zhang entered Kim Il Sung University in North Korea and earned a degree in economics while simultaneously organizing the local Party branch of Chinese students. Upon returning to Yanbian University, Zhang began a slow rise through the ranks of the local CCP organization and eventually became party secretary of Jilin province in 1995. Significantly, it was during this period that Zhang met Jiang Zemin, then-general secretary of the CCP. He would later help prepare Jiang for the latter’s trip to North Korea in 1990. This would pay off later when Zhang was given given choice appointments in Zhejiang and Guangdong Provinces. Throughout his time in the CCP Zhang has shown a commitment to conservative CCP principles and has been successful in handling a number of crises. At the same time, he has often been criticized for his heavy-handedness such as in his handling (or some say attempted cover up) of the SARS outbreak in the early 2000s. He was also tainted when the Wenzhou high-speed train collision, which killed 40 people and injured around 200 others, happened on his watch last year. Zhang’s policies and predispositions are seen as strongly conservative. His economic platform is very state-centric, and he supports growth through State Owned Enterprises (SEOs). In fact, while touring SEOs in Hubei last February, Zhang reportedly stressed the importance of continuing to “unwaveringly grow central enterprises and make them successful.” Additionally, because of his early education and experience, Zhang is very friendly with North Korea. With Zhang in power there is unlikely to be any major changes in the Chinese – North Korean relationship. Indeed, North Korean leader Kim Jong-Un was one of the first to send his congratulations to Xi Jinping after Xi formally took over as head of the PSC on Thursday. Born in April 1945, Yu Zhengsheng is one of the oldest members of the Politburo, having joined the CCP in 1964 and been first elected as an alternative member to the Central Committee during the 14th Party Congress in 1992. Yu also has the‘‘princeling’’ pedigree to match his experience, including a father who was once married to Jiang Qing, Mao’s third and final wife. Yu’s family connections haven’t always helped him, however, as his brother, a high-ranking intelligence officer, defected to the United States in 1985, somehow not derailing Yu’s career entirely in the process. Yu received a degree in missile engineering and worked on radio communication for much of his early years. Later he served as mayor of two cities in Shandong before joining the central government as minister of construction. More recently he was the party chief of Hubei Province and, since 2007, has been the party secretary of Shanghai. Yu is fairly conservative politically speaking. That being said, he has sometimes yielded to public pressure in recent years, such as when he called a new round of hearings on a proposed maglev rail line in response to protests. More curiously, the CYL newspaper reported in March that Yu responded in an open letter to a Shanghai-based netizin’s complaints about the health care his father had received when battling cancer. According to the newspaper article, in the letter Yu admitted that the healthcare system had numerous shortcomings and vowed to improve it in the manner that the netizen had demanded. On the other hand, Yu has been criticized for his handling of the tragic 2010 fire that burned down a high-rise building in Shanghai, killing 58 people. Many contractors were detained in the aftermath, and two officials were later dismissed while many others were reprimanded, but Yu escaped from the incident unscathed. Born in 1947, Liu Yunshan, currently the CPC propaganda chief, comes from more humble origins than many of his contemporaries on the PSC. After graduating from Jinin Normal School, Liu went off to Inner Mongolia to serve as a teacher, which he largely continued doing on top of the farming assignments he received during the Cultural Revolution. After joining the CCP in 1971, Liu began working as a clerk in Inner Mongolia’s publicity and propaganda office. From there he gained a position at Xinhua News Agency in Inner Mongolia, working as a journalist for Xinhua’s “Agricultural and Animal Husbandry” section. He was later made the deputy chief. Based on his success in these capacities, Liu became the deputy secretary of the Communist Youth League in Inner Mongolia. He rose through the CYL apparatus throughout the 1980s and 1990s, eventually becoming deputy party secretary of Inner Mongolia. Before then, however, during the 1980s Liu served in a number of publicity roles for Inner Mongolia’s CPC Central Committee. It was through his work in the Inner Mongolia CYL that Liu first met and then became close with Hu Jintao, who also rose to power through the CYL. Because of his relationship with Hu, Liu was called to Beijing in 1993 to serve as the deputy head of the Central Party’s Publicity Department. When Hu took over power from Jiang in 2002, Liu was chosen to head the Publicity Department. He has served in this role ever since. Since Liu, unlike most of his colleagues on the PSC, lacks any strong family ties to the CCP, his advancement through the Party has largely been due to his own diligence and the connections he forged during his time working at the CYL. Not surprisingly, he is widely believed to be a protégé of Hu’s, and one of the leaders of the CYL faction. Liu is also a polarizing figure within the CCP. Despite his relationship with Hu, Liu is widely believed to have been close to Bo Xilai, and supported the latter’s propaganda campaigns and crackdowns on independent media outlets during his time in Chongqing. Liu is also seen as having pressured domestic media outlets to strictly limit their coverage of Bo’s fallout over the past year. Almost certainly because of this, Liu became one of the two explicit targets of a widely circulated letter written by retired CCP leaders that called for the removal of Bo Xilai’s supporters within the CCP leadership. Given that his prior work experience is almost entirely in publicity departments, Liu is almost certain to be given the propaganda portfolio on the PSC. If this is the case, expect the government to further restrict media outlets in the country and attempt to strengthen its censorship of emerging new media platforms like Weibo. Among the new members of the PSC, Wang Qishan is almost certainly the one that Western policymakers are most acquainted with. This is primarily because of his involvement with the Chinese financial sector including as director of the China Investment Bank and the China Construction Bank. Despite his current status as a vice-primer, Wang Qishan had quite humble beginnings. He was born in Shanxi province to a father who worked as a professor at Tsinghua University. He has acquired “princeling” status, however, through his marriage to Yao Mingshan, the daughter of a former vice-premier, who he met during the Cultural Revolution. In addition to farming, during the Cultural Revolution Wang also worked in a museum while pursuing a history degree at the Northwestern University in Xi’an. Wang Qishan’s research experience got him his first position with the Rural Policy Research office of the CCP. From there he received a managerial position at the Agricultural Credit and Investment Company, which, after winning a series of promotions, ultimately led to his appointment as president of a number of banks and investment firms. His success in the financial sector was rewarded by the party when he was appointed vice-governor of Guangdong, a fast developing southern province. (Wang Yang, the rising star who many felt would be appointed to the PSC, is secretary of Guangdong, Wang Yang). Wang’s impressive resume has given him strong credibility as an economically liberal, and many thought that he would be given a role assisting Premier Li on financial issues. Ultimately, it appears that the fear of Wang overshadowing Li on economic issues, led the CCP leadership to appoint Wang as head of the Central Commission for Discipline Inspection, which is tasked with rooting out corruption among party cadres. While an important post, albeit, ranking him sixth in the CCP hierarchy, its portfolio is decidedly non-economic. Nonetheless, “the chief of the fire brigade” will certainly be challenged in seeking to curtail party corruption, which both President Hu and Xi Jinping stressed as a key challenge to the Party’s durability in their outgoing and incoming speeches as secretary general of the CCP, respectively. Zhang Gaoli is currently the party secretary of Tianjin province, a post he has held since March 2007, and a member of the 16th and 17th Central Committees. He was born in 1946 in Jinjiang City, Fujian Province, and joined the party in 1973. He received a degree in statistics from Xiamen University in 1970, where he met his future wife and mother of his daughter. Following graduation Zhang spent the next 15 years at the Guangdong Maoming Petroleum Company, ultimately becoming manager in 1984. The following year he became Director of the Guangdong Provincial Economic Commission, and was promoted to Deputy Governor of Guangdong Province in 1988. Prior to becoming party secretary of Tianjin, Zhang was the secretary and governor of Shandong province, where he championed administrative reforms to attract more foreign investment. Zhang is considered to be a protégé of former Chinese President Jiang Zemin, and was seen as one of the lower-level officials jockeying for a spot on the Politburo Standing Committee. Jiang’s much noted intervention in the leadership transition was almost certainly instrumental in propelling Zhang to the body. Is Xi Jinping a Reformer? As China opens its annual parliament session our correspondent considers the reform credentials of its leader. China’s Next Leap Forward: From Comrades to ConsumersJust Who is Xi Jinping?Is China's Communist Party Doomed? Socialism 3.0 in ChinaChina Has New Leaders. What Now?